Harvard students will have to look to other LGBTQ role models in the military. The university’s Institute of Politics swiftly reversed itself and disinvited intelligence leaker Chelsea Manning from coming aboard as a visiting fellow, after the former and current directors of the CIA blacklisted Harvard hours apart. CIA Director Mike Pompeo made public a blistering letter Thursday night to Harvard’s Kennedy School of Government that echoed and expanded on his predecessor Michael Morell’s public resignation earlier Thursday as a senior fellow of the Kennedy School’s Belfer Center. Ms. Manning stands against everything the brave men and women I serve alongside stand for. 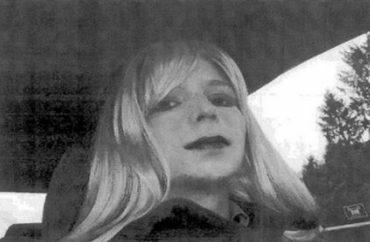 Let me be clear, this has nothing to do with Ms. Manning’s identity as a transgender person [after abandoning the male identity Bradley]. It has everything to do with her identity as a traitor to the United States of America and my loyalty to the officers of the CIA. The students there are now owed an institution that acts responsibility; an institution that does not sanction or legitimize the criminal path Ms. Manning took to undermine our national security. Indeed, Harvard’s actions implicitly tell its students that you too can be a fellow at Harvard and a felon under United States law. … The very motto of Harvard “Veritas,” truth, is a core principle of the agency I now lead … Ms. Manning swore an oath to the United States Constitution, promised to protect her fellow soldiers, and signed a commitment to abide by the law. She did none of that and yet Harvard has placed her in a position of honor. Pompeo’s letter suggested it was prompted by Morell’s resignation, and the former director’s resignation in turn cited Pompeo as an authority on Manning’s unfitness to be honored. The event with @CIA Director Mike Pompeo has been postponed. Thank you. Kennedy School Dean Douglas Elmendorf rambled for more than half of his statement, which was posted early Friday, before dropping the bomb that Manning had been disinvited. At any point in time, the Kennedy School has hundreds of fellows playing many different roles at the School. In general across the School, we do not view the title of “Fellow” as conveying a special honor; rather, it is a way to describe some people who spend more than a few hours at the School. But given the backlash, Elmendorf now realizes it was a “mistake” to invite Manning as a “visiting fellow,” a title that requires Manning to live on campus and interact with students, rather than have Manning “spend a day at the Kennedy School” and speak to its forum. In particular, I think we should weigh, for each potential visitor, what members of the Kennedy School community could learn from that person’s visit against the extent to which that person’s conduct fulfills the values of public service to which we aspire. … Any determination should start with the presumption that more speech is better than less. In retrospect, though, I think my assessment of that balance for Chelsea Manning was wrong. Manning’s Twitter feed Thursday was full of mockery of Morell for resigning as a senior fellow, but the feed turned more serious after Pompeo’s pullout and Elmendorf’s revoked fellowship. The pardoned intelligence leaker said the revoked fellowship showed that Harvard chills “marginalized voices,” apparently referring to her gender identity. Read Pompeo’s letter, Elmendorf’s statement and Manning’s tweets.